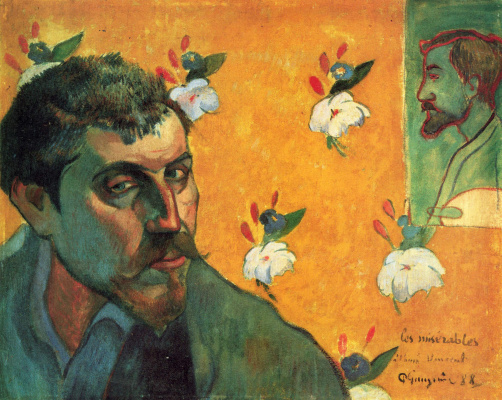 In September 1888 Paul Gauguin joined Vincent van Gogh in Arles, finally succumbing to his persuasions and the persistent requests of his brother Theo. 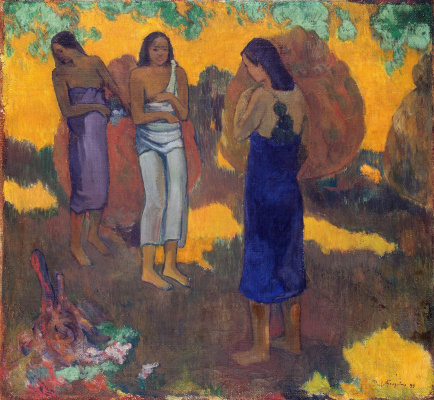 An important role here was played by the fact that Theo literally paid Gauguin to come to Arles, and promised to sell some of his paintings. 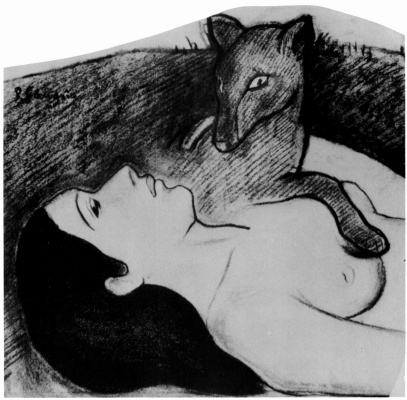 Later, the artist complained that he had been "bought like a prostitute", but he did not refuse the money. At first, van Gogh rented a room from the Ginoux couple who owned a little café in Arles. The artist had a purely business relationship with them, and he did not dare to ask Madame Ginoux to sit for him. 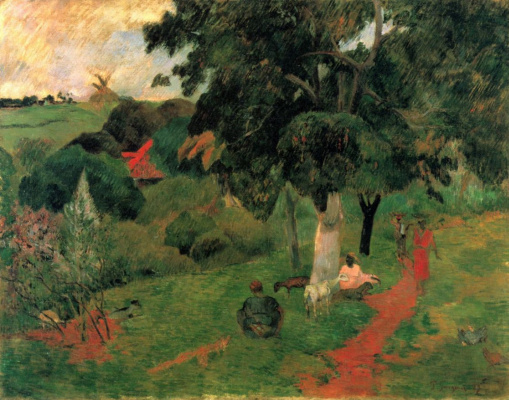 Everything changed with Gauguin's arrival: the charming, witty and talkative Frenchman quickly found a common language with everyone. It was he who persuaded first Madame Ginoux and later her husband to pose for him and Vincent. 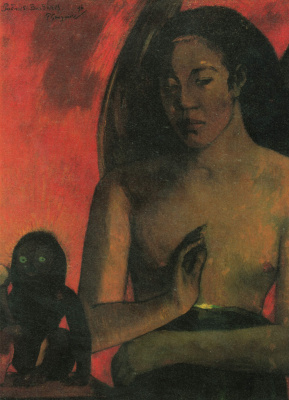 During one-hour session, Gauguin managed to make a charcoal sketch of the woman's portrait, and Van Gogh created a full-fledged oil painting. 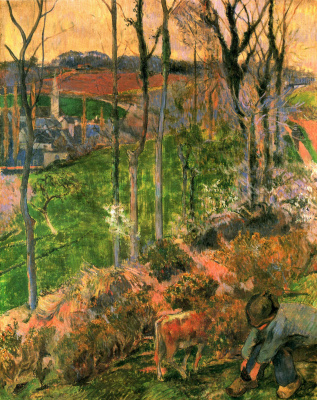 From the very beginning, the relationships between Gauguin and van Gogh were those of the rivals and competitors. 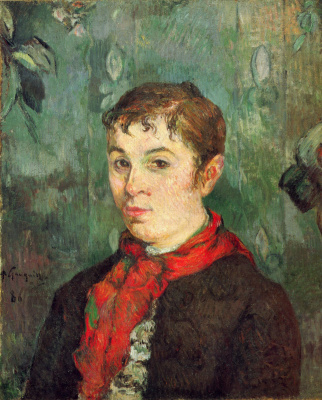 Paul, as a more senior and experienced artist, instructed Vincent, tried to curb his rebellious spirit and teach him to be more restrained during work. He taught van Gogh to paint not only from life but to extract images from his memory and imagination. 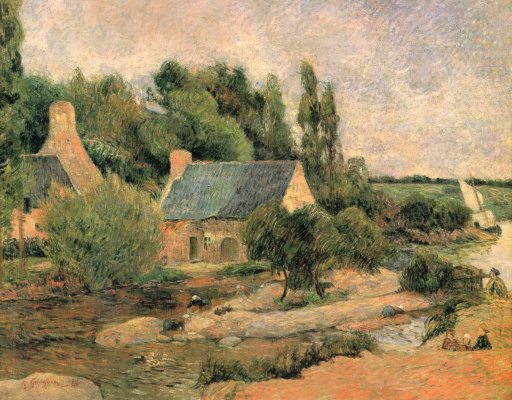 And at the same time Gauguin was envious of the colossal efficiency of the Dutchman, who easily painted expressive and completed canvases with the speed of the conveyor. The painting "Night Café at Arles" also became a part of the competition between the artists. 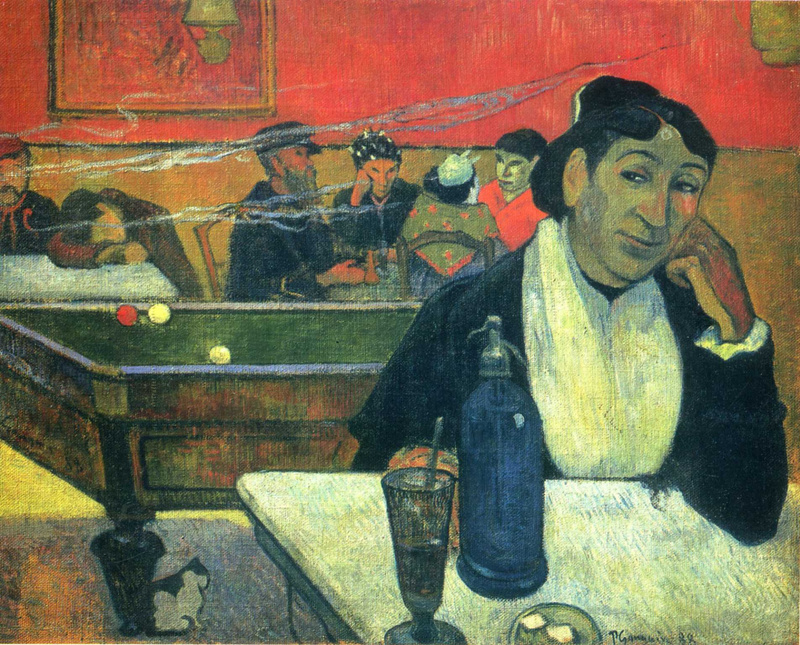 Gauguin painted the interior of the Ginoux couple's café, already painted by Van Gogh. 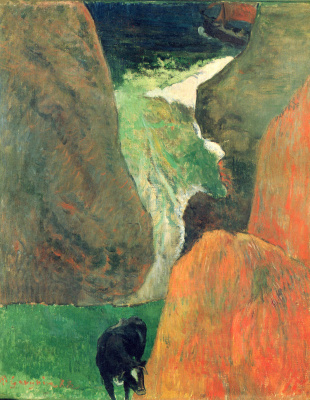 However, while van Gogh's painting with almost empty hall and barely discernible figures of people became a kind of hymn to loneliness and restlessness, Gauguin gave his work a different mood. In the foreground the artist placed the café owner, Madame Ginoux (taking as a basis the charcoal sketch he made earlier), and behind her he portrayed three prostitutes in a company of a man very similar to Vincent's friend - postman Joseph Roulin. 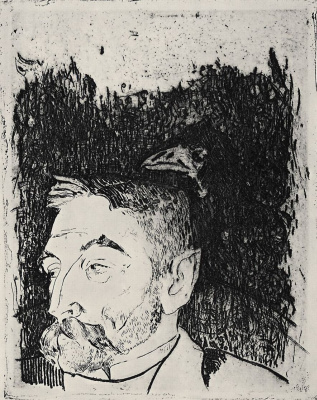 Experts believe that this figure, as well as a figure of a man similar to another van Gogh's friend - Lieutenant Millet - was completed by Gauguin after he had left Arles. All information about the masterpieces of one of the largest art museums is now in your smartphone. Authors' abstracts for the paintings and audio guides, painting recognition feature, current exhibitions information: meet the pioneering work by Arthive.